Social Europe – Front Against TTIP (Malta) condemn the Government for taking a position in favour of TTIP, when discussions are still ongoing between the European Union and the United States. Social Europe – Front Against TTIP (Malta) also condemns the position taken by the Maltese Government to support other EU Member States in calling upon the European Commissioner not to remove the investor-to-state dispute settlement mechanism (ISDS) from the TTIP. The Front reiterates that “the ISDS mechanism will give multinationals too much power. ISDS will allow foreign corporations to bypass national courts and settle disputes with governments through international arbitration. ISDS will transfer regulatory competence from democratic institutions to unelected technocratic institutions”. "The TTIP should not result in lower standards to the detriment of public health, public security, workers' and consumers' rights and environmental protection". "The TTIP should not allow the liberalisation and privatisation of public services such as health, culture, water, social services and education, and it should not reduce political autonomy on cultural productions, educational activities and local policies", concluded the Maltese Front Against TTIP. 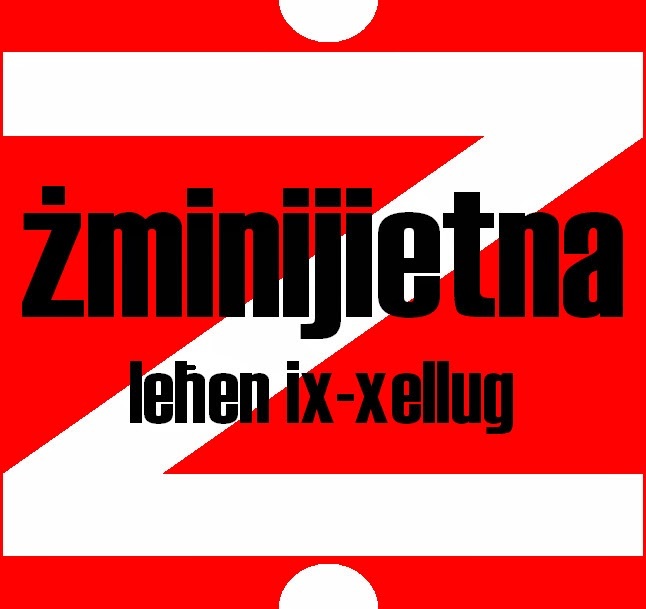 Żminijietna – Voice of the Left supports the proposal put forward by the GWU whereby the Cost of living Adjustment (COLA) is revised every six months, and agree in principle with MUMN suggestion to introduce a minimum treshold that guarantees that any increase is not lower than that limit value. 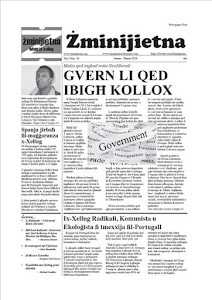 “To have a more realistic mechanism, Żminijietna believes that the list of the products and services by means of which the increase is calculated should be revised, and the method applied should be adjourned to be inconformity with the increase in the cost of living”. Social Europe - Front against TTIP (Malta) has been prohibited from organising a public dialogue at Europe House, Valletta this Saturday 11 October. The Front was going to participate in the global call of action on the TTIP (Transatlantic Trade and Investment Partnership). Various civil society coalitions across the world are participating in this campaign. "We are baffled that Europe House, which has hosted a wide range of events related to EU policy, is prohibiting a civil society coalition from discussing the EU's proposed trade and investment partnership with the USA". "This only confirms criticism of the TTIP related to secrecy, where the public is being denied access to negotiations, and where all negotiators must sign non-disclosure agreements". 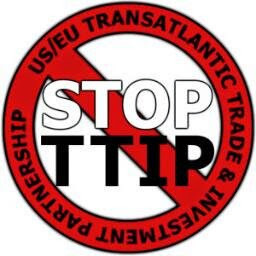 "We support the global call of action against the proposed TTIP, as it threatens workers' rights, environmental protection, consumer rights and public services. Multinational corporations will have the right to take action against democratically-elected national Governments through the bypassing of national and European courts". "We are supporting the self-organised European Citizens' Initiative on the matter, through which signatures will be collected all over the EU to protest against the TTIP process. Citizens may sign at http://stop-ttip.org/sign/ "
Social Europe - Front Against TTIP (Malta) comprises: Żminijietna - Voice of the Left; Anti-Poverty Alliance; Moviment Graffitti; Association of Federative Socialists; GWU Youth, ADZ – Green Youths; Friends of the Earth Malta; Partit Komunista Malti; Garden of Knowledge (Malta).